* This is a very short trail, but has some steep sections. The hike up Ka’iwa Ridge, more commonly known as the Lanikai Pillboxes trail, arguably provides the most value for effort exerted. 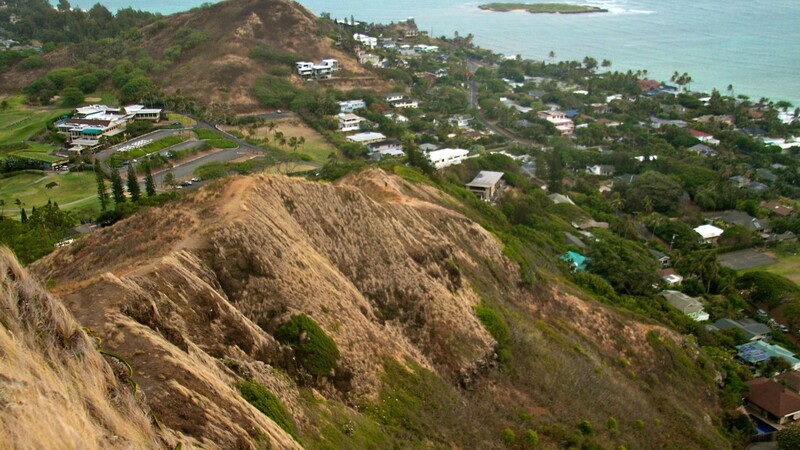 Only a half-mile in length, this steady climb offers one of the most beautiful sunrise vantage points on the island. The trail ascends quickly from its start on Kaelepulu Drive, and soon hikers will find themselves along its dry, narrow ridge. Apart from the slightly steep beginning section, the hike is rather mild for the average trail-goer. Follow the path up a few switchbacks and arrive at the first bunker, a leftover remnant of WWII. Feel free to stay here and explore, but we recommend continuing along to the second bunker, which tends to be slightly less crowded. In fact, many times we have had the second bunker all to ourselves, at least for a short while to watch the sunrise. 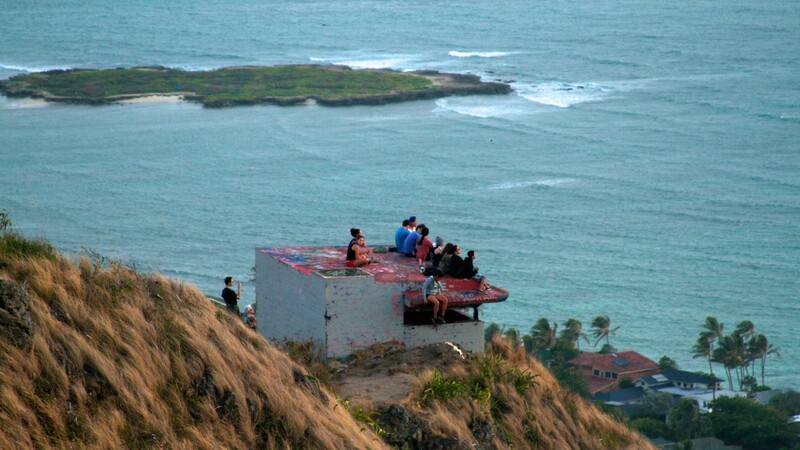 From either of the pillboxes, the 360 degree vista is absolutely breathtaking. 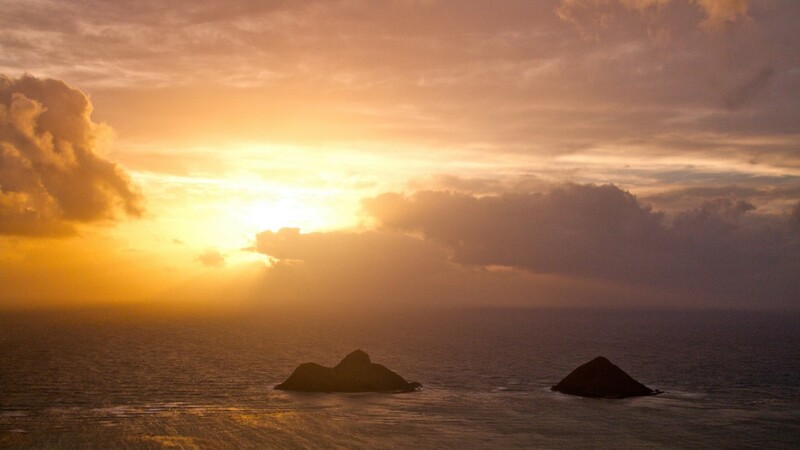 Looking out over Lanikai Beach, take in the awesome views of the Mokulua Islands, sitting like twins just offshore. 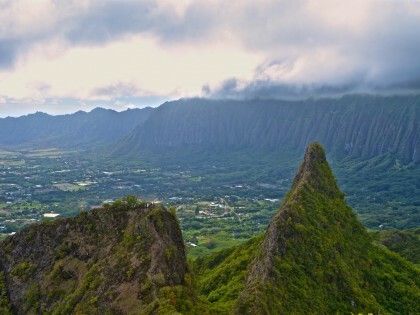 With the amazing scenery, this hike has become one of our favorite ways to start another awesome day in Hawai’i. 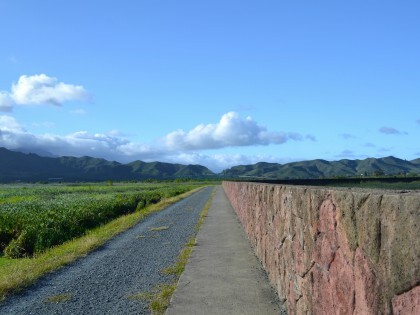 By car: Follow the map below to Kaelepulu Drive in Kailua. Street parking is available about halfway up the hill across from the Mid Pacific Country Club. Walk up the private driveway (#269) on the opposite side of the street. The dirt trailhead is located on the right side of the road next to the fence. 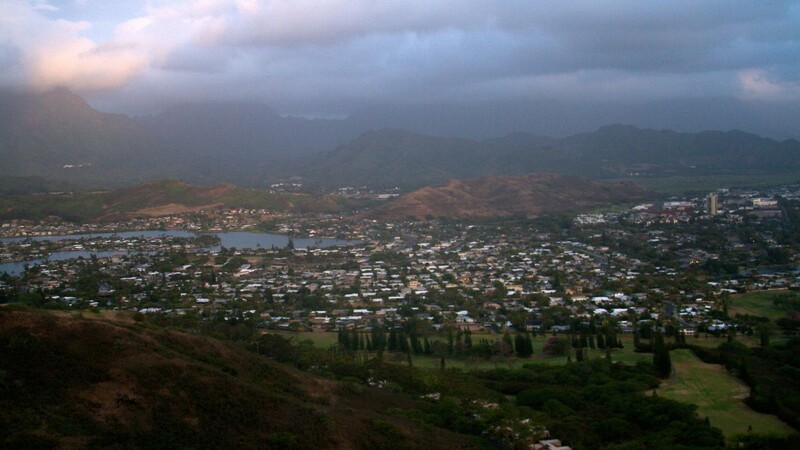 By bus: From town, take Route 57 Kailua-Waimanalo to the Castle Medical Center bus stop on Kalanianaole Hwy. Transfer onto Route 70 Lanikai to the Alala Rd + Kaneapu Place bus stop. 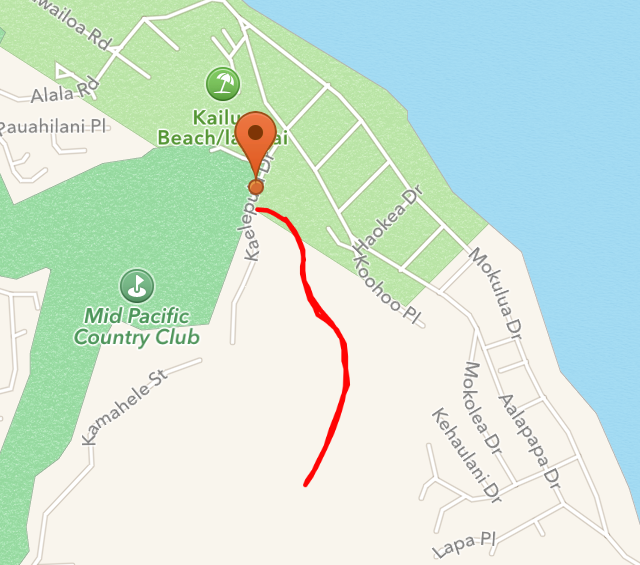 Continue down Mokulua Drive, then turn veer right onto Aalapapa Drive (0.2 miles). Turn right onto Kaelepulu Drive and follow the directions above to trailhead. Gorgeous place to watch the sunrise. One of my favorite spots on the island.